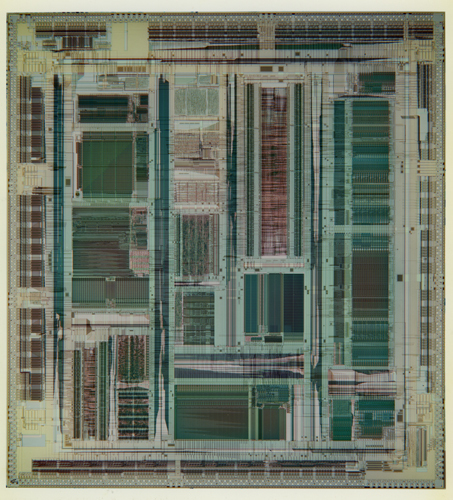 This is a color image die shot of the HP PA-7200 Tornado. The colors range from teal, pink, green, black, tan and brown. Written on verso side of image in black pen is "P4655" at the top and "PA7200 ('Tornado') Return to Ruby Lee, HP" at the bottom. Stamped in black ink on verso side of image is "C-1 Photography Tel (408 733-5855 Fax (408) 733-0914 21276"